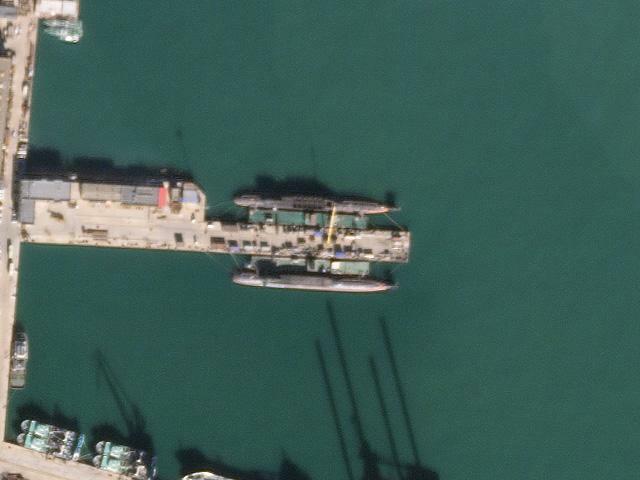 Some of America's most influential think tanks and the Pentagon have likely underestimated the number of Chinese nuclear submarines under construction, a new report suggests. Defense One said that contradicts the US Defense Department’s 2018 China Military Report and the Center for Strategic and International Studies' (CSIS) report, which had stated that China had four operational Jin-class subs. Jeffrey Lewis, a colleague of Dill, discovered that China had one more nuclear submarine in development than previously believed. He observed a total of five submarine hulls in production, three at Longpo and two at the Bohai shipyard, indicating that China's modernization efforts are ahead of schedule to meeting its goal of eight. By comparison, the US nuclear-armed submarine fleet features 14 Ohio-class subs, which are comparable in size to China's Jin-class sub and Russia's Borey-class. Boston College Geopolitical Professor Robert Ross, an expert on Chinese defense and security policy, released a new report entitled “The End of US Naval Dominance in Asia,” it warns that at the current rate of modernization by China, US Navy's global dominance could be displaced sometime in the mid/late 2020s. “The rapid rise of the Chinese Navy has challenged US maritime dominance throughout East Asian waters,” Ross writes. “The US, though, has not been able to fund a robust shipbuilding plan that could maintain the regional security order and compete effectively with China’s naval build-up." 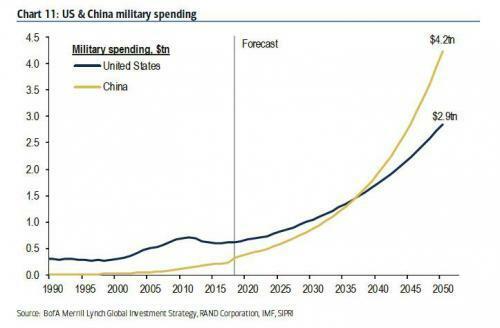 Sometime around 2038, roughly two decades from now, China will surpass the US in military spending, and become the world's dominant superpower not only in population and economic growth - China is set to overtake the US economy by no later than 2032 - but in military strength and global influence as well.